Avoid chaos while providing a fun outlet for energy and creativity with these fun games and ideas. 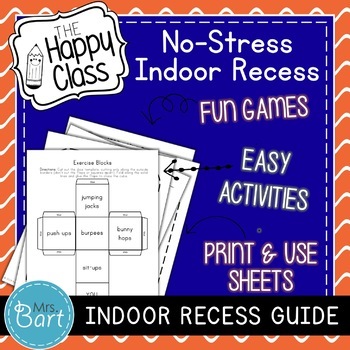 Enough easy games & activities to use in your indoor recess times all year. Most activities require little to no advance planning on your part... a majority of them can be done by students while you sit and grade papers. Here are some fun, easy-to-implement ideas to help you keep your sanity! Many ideas have additional notes on how to slip a little learning into these fun, rainy day recess activities. 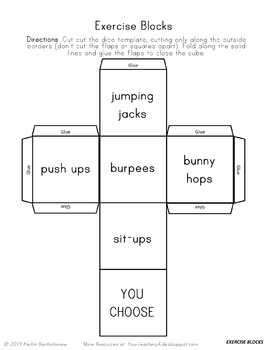 Can easily be adapted for younger and older elementary students. 1.ORGANIZED: It makes it easier to teach and to learn. 2.RESPECTFUL: Rules are clear and teachers &students have mutual respect for each other. 3.FUN: Because school SHOULD be fun! 4. A FAMILY: A place that students love to come to each day where they can feel safe and loved. 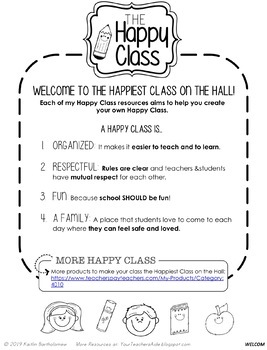 All my happy class products aim to help you create the Happiest Class on the Hall. For more Happy Class products, please visit my store. Get notified by email when I post new resources by following my store!. ---Full list of Classroom Management products. ---Full list of Social Studies products. ---Full list of Language Arts products. ---Full list of preschool & kindergarten products. 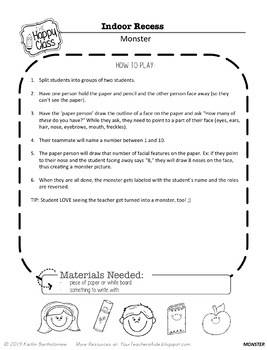 I love to find creative, inventive ways to teach and pass them along to other teachers. Check out my blog for more great teacher tips and freebies: Your Teacher's Aide.